If you’re looking for “Beulah red” marble, the only place you’re going to find it is in Colorado. All the “Beulah red” marble in the world went into making the Colorado state Capitol, and there it will remain. 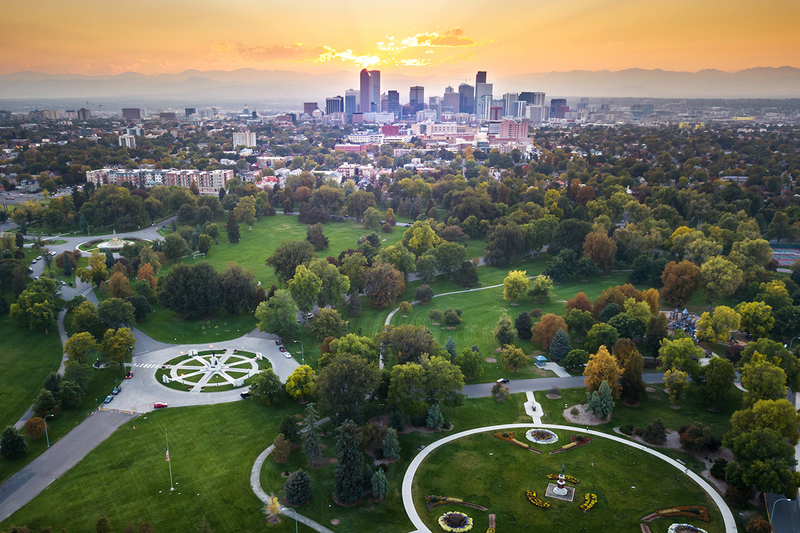 Sure, there are a lot of fun facts about Colorado, but perhaps the most fun fact is that Colorado is the home of the Colorado Rockies, and people flock to the state year in and year out to climb, hike, ski, and explore this natural wonder that gives Colorado so many of its distinctive features. When it comes to the state of Colorado, it would be hard not to make mention of its geological splendor. It encompasses most of the Southern Rocky Mountains, the western edge of the Great Plains, and the northeastern portion of the Colorado Plateau. The Continental Divide of America spans the crest of the Rockies, and the 30 highest major summits in the Rockies lie within its epic landscape, affecting everything from the wildlife and air quality to temperature. With high temperatures in the desert and valley areas, and low temperatures in the peaks, the choice of activities in Colorado is just as versatile as the climate. When most people think of Vail, Colorado, they think of jetting down powder-filled mountains at top speed, zipping by aspen trees on snowboards, or snowmobiling through piles of freshly fallen snow. There’s dog sledding available, plenty of local wildlife to be seen, and plenty of cider and chocolate to be drunk by the fire. However, there are also warmer weather activities to be enjoyed in this predominantly ski resort town. Once the snow melts, you can visit the highest botanical gardens in the world, enjoy al fresco, art, get friendly with llamas and SUP (stand up paddleboard) to your heart’s content in the placid waters of Sylvan Lake against the backdrop of the majestic mountains, making Vail a great destination all year round. When compared with the excitement of Vail, the city of Lone Tree may seem like more of a lone wolf. Lone Tree is a home rule municipality, which means the people can pretty much govern themselves as they see fit, and judging from the “Every day in Lone Tree is a great day’” motto, Lone Tree seems to be doing pretty well with it. Not a very populous state, (as of 2000 there were 4,873 people reported living there), Lone Tree is a city that can be respected for its strong self-identity and DIY ethics; but that’s not to say it doesn’t know how to throw a good party. When it comes to entertainment and dining, there are countless options to be found in Lone Tree. The Park Meadows Grill is the city’s dining destination and the Snooze is one of its the most famous brunch chains. Featuring mainly local ingredients in the menu, the Snooze has plans to expand across the country, so watch for some heaping portions of cage-free eggs coming to your neighborhood soon. If it’s shopping you seek, there is plenty to be done in Lone Tree. With over 185 stores and counting, The Park Meadows Mall is the biggest shopping mall in Colorado, so be prepared to hunt for more than wildlife. Vail and Lone Tree. If you’ve snowmobiled your way through several miles of Rockies snow and binged on charcoal-grilled meat all night, you might want to take a trip to one of our Lavelier stores for some skin-pepping moisturizing and acne-preventing facials. Skincare specialists will be on hand to best advise you on the most suitable collections for your skin type.